Double world champion Manuel Poggiali is to make a comeback in the 2008 world 250 championship. The 24-year-old has signed a deal with the Italian-based Campetella Aprilia team to return to action after a sabbatical year in 2007. The San Marino rider was once touted as a future MotoGP world title prospect after he won two world titles by the age of 20. He won the 2001 125GP title and then became only the third rider in history with Freddie Spencer and Tetsuya Harada to win the 250GP world title in his first season in 2003 with the factory MS Aprilia squad. After that triumph though his fortunes plummeted and his last year in racing was a troubled 2006 campaign with KTM’s factory 250 squad. 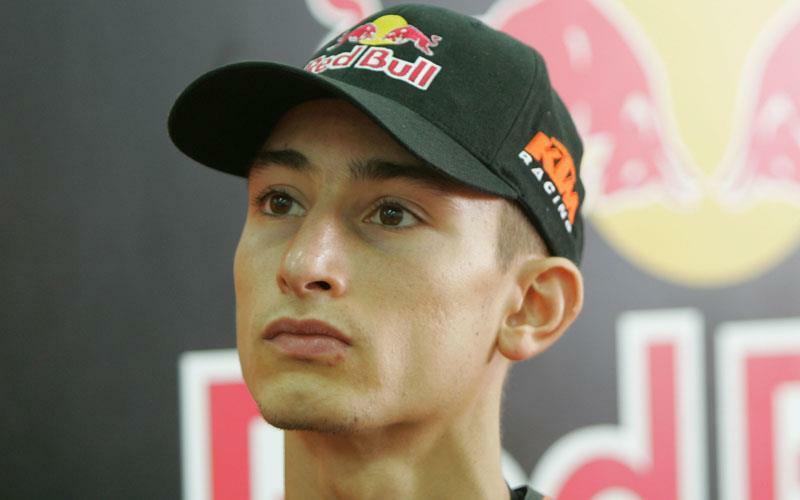 With a lack of decent offers to continue in 125GP, 250GP and World Superbikes, Poggiali decided to sit out 2007. He will join Fabrizio Lai in the Campetella squad, looking to add to a tally of five 250GP victories next season. “I’m very happy to return racing. I look forward to pit my strength against my opponents aboard an Aprilia bike with which I’ve won the world title in 2003,” Poggiali said in a statement today. His return to action coincides with the departure of 250GP big guns Jorge Lorenzo, Andrea Dovizioso and Alex de Angelis, who have all moved to MotoGP for next season.